Choose "On Sale" Items for Extra Savings! Office Panels can only be shipped in multiples of 2! Seeking a cost-effective yet highly effective lighting solution to replace traditional fluorescent drop ceiling fixtures? 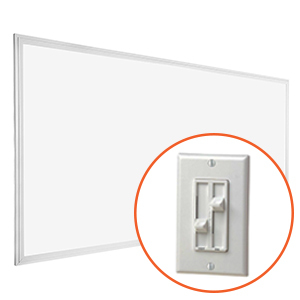 The LED panel light is a seamless replacement, with each piece replacing up to four bulb fluorescent lay-in ceiling lights—while using half as much energy. The flat panel light is an ultra thin and sleek light that is ideal for modern spaces requiring bright, good looking light. The flat panels are fully dimmable and are compatible with building controls, motion sensors, timers, and daylight harvesting systems. 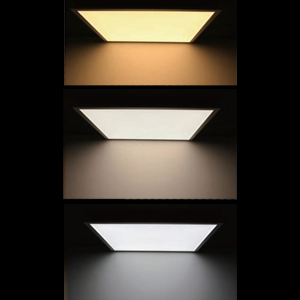 The recessed LED panels replace fluorescent troffers and are ideal for all locations which require commercial fixtures, including office buildings, schools, retail spaces, hotels and hospitals. With a lifetime of some 50,000 hours, the no-glare LED panel is built for purpose. 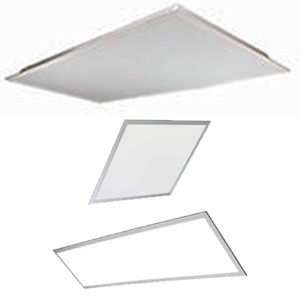 Rectangular led panel fixtures are ideal for illuminating office spaces, and are an easy replacement for fluorescent recessed ceilings. The LED provides a uniformly crisp, bright light while cutting energy costs. Suitable for both retrofit and new construction office and conference room lighting. Make the switch to LED flat panel lights today for an energy-saving light that saves on bills while lasting twice as long as its more traditional fluorescent counterpart.